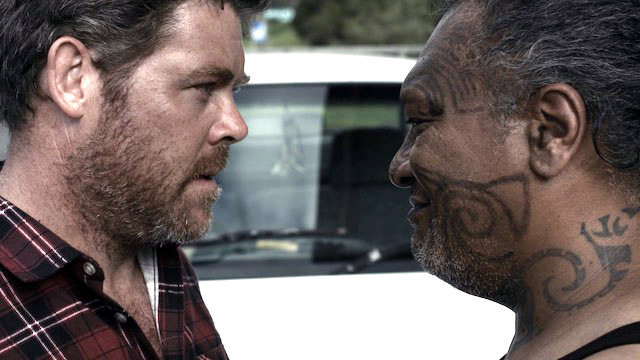 Two thieves with a mysterious package in tow venture into the backwoods of New Zealand to meet their buyer where they soon find themselves out of their element amongst the environment...and the locals. Treasure is a film about perception, how as a culture we view the "other" and how this can often lead to disastrous consequences. For me, the very best short films work by throwing a wrench into the audiences expectations of the film, so that by the end the viewers entire experience of the film is altered by its outcome. In a great film, events and characters should never appear exactly as they seem. Themes: Crime, Indigenous, World Cinema.